Do you love Halloween? 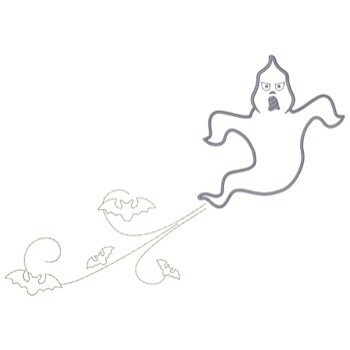 Then this spooky ghost outline border design is perfect for you! Stitch this onto a sweatshirt or throw. Dakota Collectibles is happy to present Ghost Scroll machine embroidery design which has 4098 stitches and is [177.29 mm x 125.48 mm] large. If you would like to view more embroidery patterns please search on our embroidery designs page.